The Integer Wavelet Transform (IWT) has proved particularly successful in the area of embedded lossy-to-lossless image coding. One of the possible methods to realize the IWT is the lifting scheme. Here we construct a new class of IWTs parameterized simply by one free parameter, which are obtained by introducing a free variable to the lifting based factorization of a Deslauriers-Dubuc interpolating filter. The exact one-parameter expressions for this class of IWTs are deduced and different IWT can be easily obtained by adjusting the free parameter. In particular, several IWTs with binary coefficients are constructed. 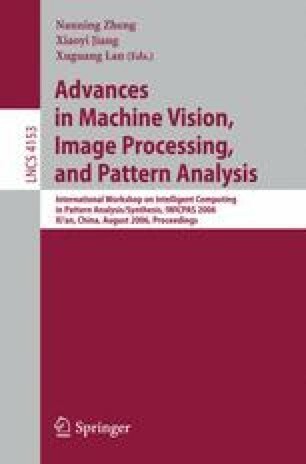 Extensive experiments show, as compared with some state-of-the-art IWTs, that our transforms have more superior compression performance for both lossless and lossy image coding, and yet require only comparable computational complexity. Besides, a quantization method suitable for IWT is also discussed in this paper. This work was supported by the National Natural Science Foundation of China under Grant 60021302 and the National Natural Science Foundation of China under Grant 60405004.